Looking to plan your next vacation or just need a destination to daydream about? Las Bahías de Huatulco is the place! Last year for La Navidad, our family spent a week in Huatulco relaxing and enjoying the nature, the food and the local culture. It was one of my favorite vacations we’ve ever taken. Watch the video to get a little taste to whet your appetite. Win a trip to Huatulco from Mexico Today! I’ve written several times about our trip to Huatulco last year when we spent our Christmas vacation in Mexico. Lots of you have written to say you loved the photos and the stories, and even the video I took from the beach. Huatulco is, hands down, one of the most beautiful, peaceful places we’ve been in Mexico. 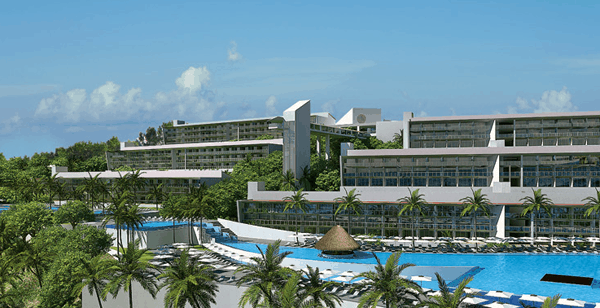 Now you have a chance to win a 3 day/2 night stay at the brand new Secrets Huatulco Resort & Spa! Mexico Today is hosting a giveaway on their Facebook fan page for a trip for two that includes airfare, hotel accommodations and spending money for you to enjoy and discover Las Bahías de Huatulco. You must be a fan of the Mexico Today page to enter. You must be at least 18 years old and a resident of the U.S. or Canada in order to be eligible to win. The sweepstakes ends July 20 at 6 p.m. PDT. See the official rules and more information at the Mexico Today Facebook fan page…. 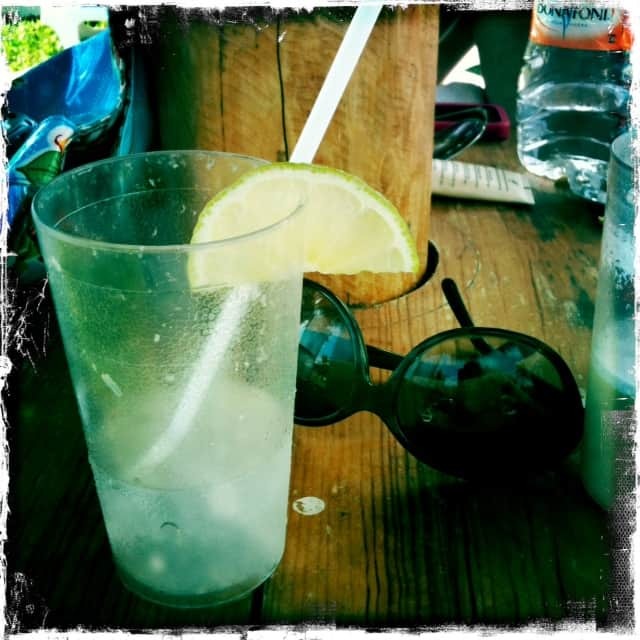 Give me a limonada and sunshine and I’m happy! I took this photo oceanside under a palapa in Huatulco last year. What about you? What one thing paired with sunshine puts a smile on your face? If you’re a frequent visitor here or on our Facebook fan page, then you probably already know that I’m completamente loca about bugambilias. In English, they’re called bougainvilleas, and they’re one of my favorite species of flowers. 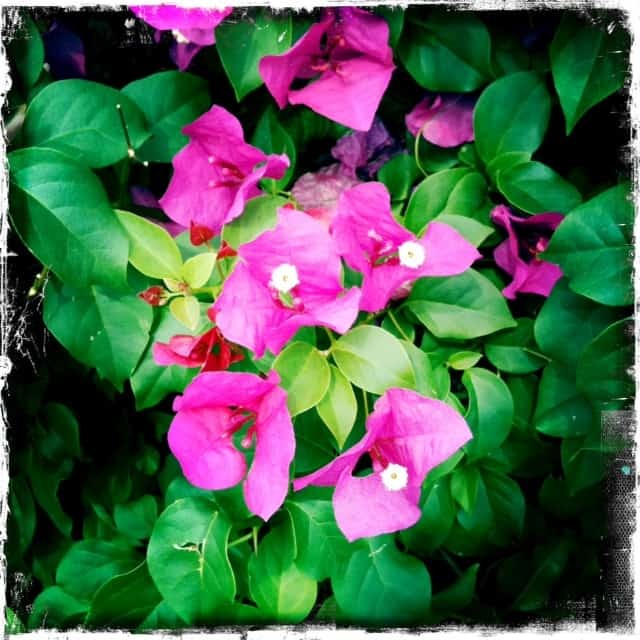 These particular flowers were photographed on our family trip to Huatulco in December 2010. The bright pink color just stirs my soul. 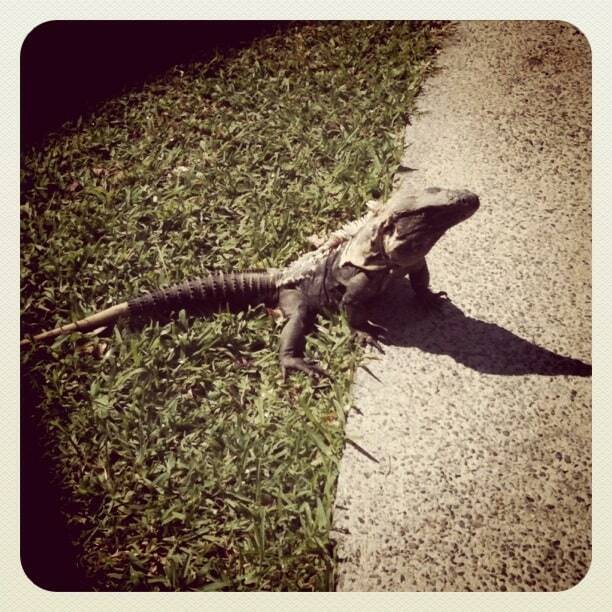 What kind of plant life reminds you of Mexico? Feliz cumpleaños to one of Mexico’s most famous presidents, Benito Juárez, who was born on this day in 1806. This monument pictured above, gifted to the city of Chicago in 1977 by Mexican president José López Portillo, stands along Michigan Avenue in the Plaza of the Americas next door to the Wrigley Building and across the street from the Chicago Tribune. Often regarded as Mexico’s greatest and most-loved leader, Juárez died of a heart attack in 1872. If you need to brush up on your Mexican history, read about Benito Juárez and what he did for the Mexican people both before and during his presidency. You might also be surprised to know that he spent a short time living in New Orleans from 1853-1854. Juárez came from a Zapotec family in Oaxaca and served in a variety of political positions during his career. Today, there are numerous monuments and locations dedicated or named in his honor. In Mexico City, the international airport is just one of many, many locations named after Juárez. 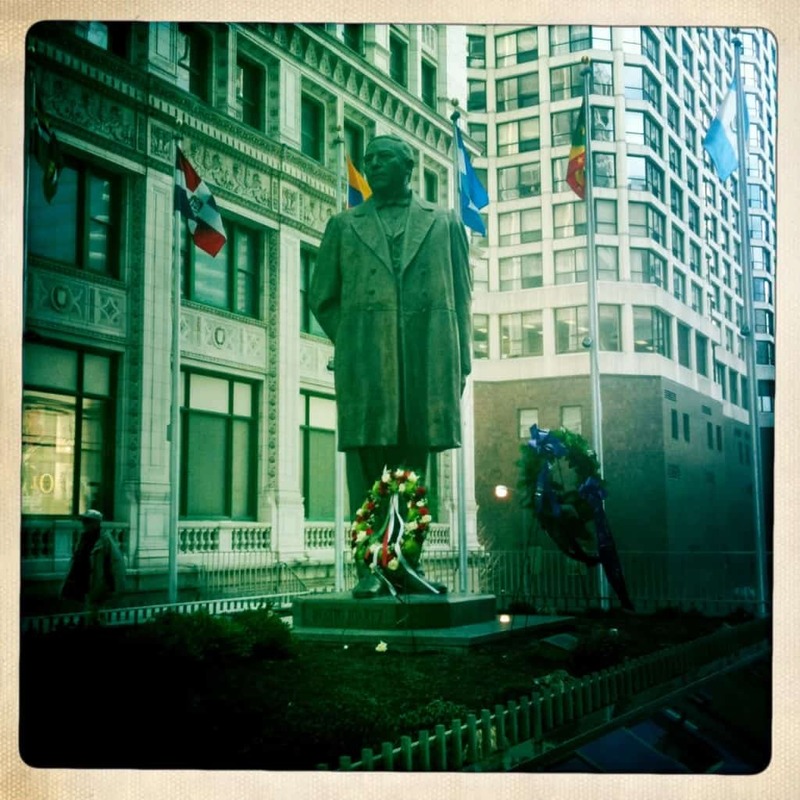 Check out some additional photos and details about the Chicago monument on the Public Art in Chicago blog. Do you know of a monument or location dedicated to Benito Juárez? Leave a comment with where it’s located! Today we’re headed back to Chicago and la vida diaria, but so we don’t skip a beat while traveling, we’ve prepared a few lists, based on you, the readers, and what you loved most on The Other Side of The Tortilla in 2010. Click on the photos below to visit each recipe or story. And don’t forget, for more homemade Tortilla goodness, a glimpse at what’s cooking in the Tortilla Test Kitchen and exclusive giveaways for fans, LIKE us on Facebook! We hope you’ll find something new that you may have missed or that you rediscover a recipe or story you may have already read. If your favorite post isn’t listed here, let us know in the comments what you liked best. Also, please feel free to leave a comment with what you’d like to see in 2011! Snorkeleando in Huatulco with my new friend, travel and food writer Cynthia Fuertes, who is a friend of my cuñada‘s. Obviously, we had plenty to talk about! (And in case you’re wondering, yes, the verb ‘to snorkel’ is ‘snorkelear’ in Spanish.) We saw an amazing variety of colorful fish and other sea life; it was so stunning! It was Cynthia’s first time snorkeleando and she loved it, and my cuñada and I had fun showing her the ropes. Stay tuned for some underwater photos and video from our excursion soon. 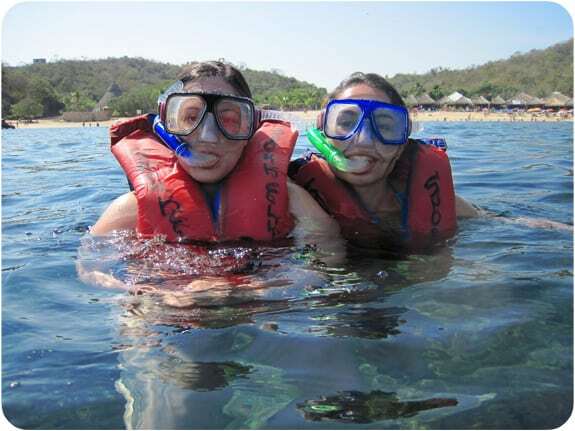 Where’s your favorite place to go snorkeling in Mexico?